8in1 bones satisfy the dogs natural instinct to chew and exercise the jaw muscles with unique combination of rawhide and delicious beef meat in the middle. These delicious, juicy slices of chicken meat will be your dog's favorite treat. These delicious slices of chicken meat will be your dog's favorite treat. These delicious slices of chicken meat and rawhide leather will be your dog's favorite treat. These delicious milky bones enriched with calcium, are necessary for the formation of strong bones and teeth. Duck meat delicately compliments the taste pallet. A unique treat. Dried turkey meat with the addition of rice on a soft chewing bone will become your puppy's favorite treat. Delicious slices of turkey meat with rice will become a favorite treat for your puppy.! Delicious strips of lamb meat easily break down into small pieces and are great for encouraging puppies on the first trainings and adjusting behavior.! Slices of tender beef is a delicious special treat for small breeds. Bones of turkey and rawhide leather will remind your small breed doggy that she is a real predator. Juicy pieces of turkey meat with rice are ideal for treating small breeds of dogs, are hypoallergenic and have an excellent taste. Juicy pieces of lamb meat are great for treating dogs of small breeds, are easily chewed and have high nutritional properties. Baked fillet of duck meat will be excellent to give your doggy a nutritious and tasty treat. Chicken cartilage. 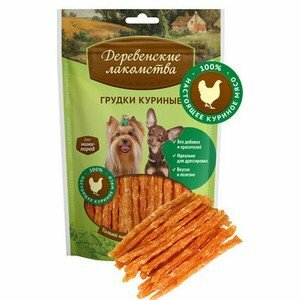 Exclusive, unparalleled in the market, a treat for dogs with lots of vitamins and minerals, which are so necessary for strong joints. 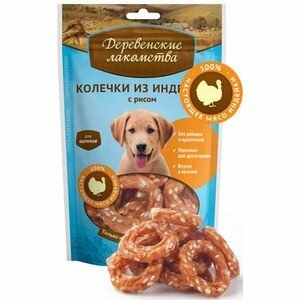 A great treat for small breeds. Perfectly removes plaque, prevent the appearance of tartar, and fight against gum disease.